I hit a bunch of fish fries and pancake breakfasts. I also ate 40 Days of Sandwiches for Lent. I’ve got to be honest – it was really hard. As Crystal from EatDrinkCleveland remarked, it felt like I was doing 40 Years of Sandwiches. I ate at Crust for the first time. They have some good subs. Some were better than others, and a couple of days I didn’t eat a sandwich for one reason or another. I only threw out one sandwich. I have to say my favorite sandwich (and the one I keep thinking about) was the Green Goddess from Byte Cafe on Superior (see above). 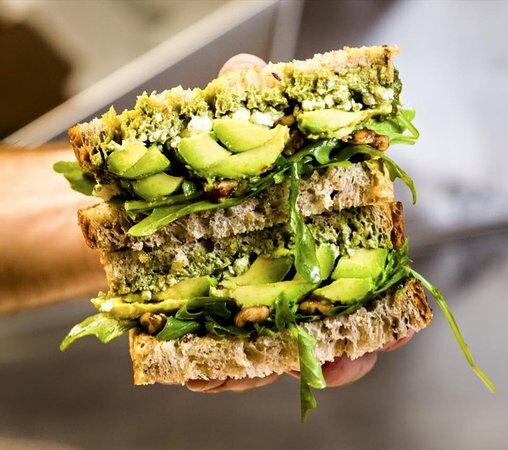 It features fresh avocado, goat cheese, basil pesto, arugula, balsamic reduction, roasted walnuts, and salt&pepper on multigrain bread. My photo does not do it justice, so I am using one from Trip Advisor. After seeing photos from Pranzo Bistro in Willoughby for months on the All Things Food in Cleveland page on Facebook I managed to get a bunch of friends together to check it out. It was a snowy night, but the meal made it absolutely worth the white-knuckle drive. I started off splitting a burrata with asparagus, ordered the Italian wedding soup, and then had an amazing lobster pappardelle. 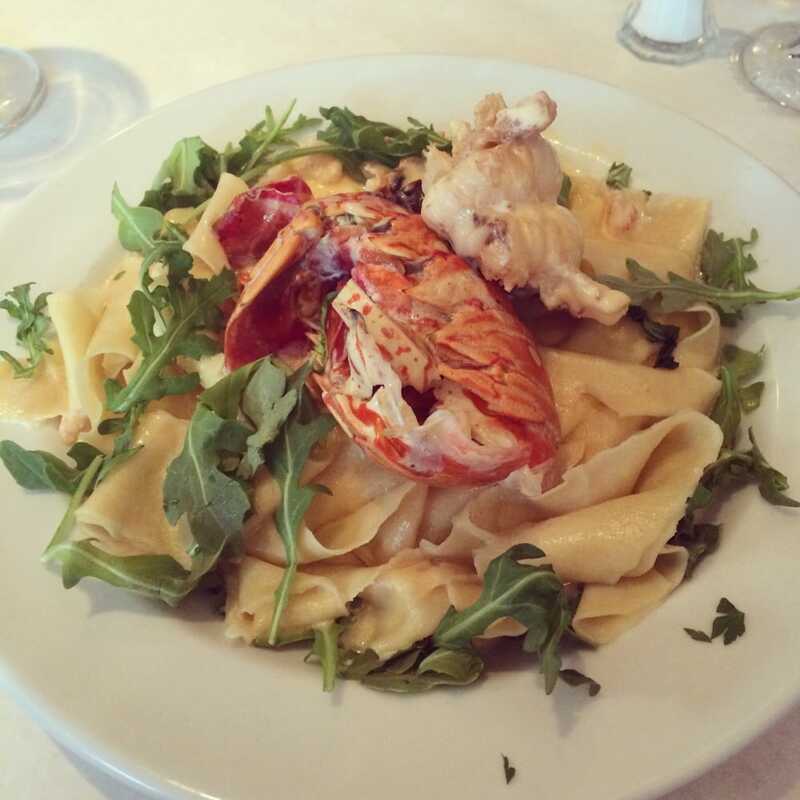 The pappardelle featured homemade noodles, langustino meat, and lobster tail in a cream sauce dressed with fresh arugula. My photo is literally the world’s darkest photo, so I borrowed this one from Corinne D. on Yelp. 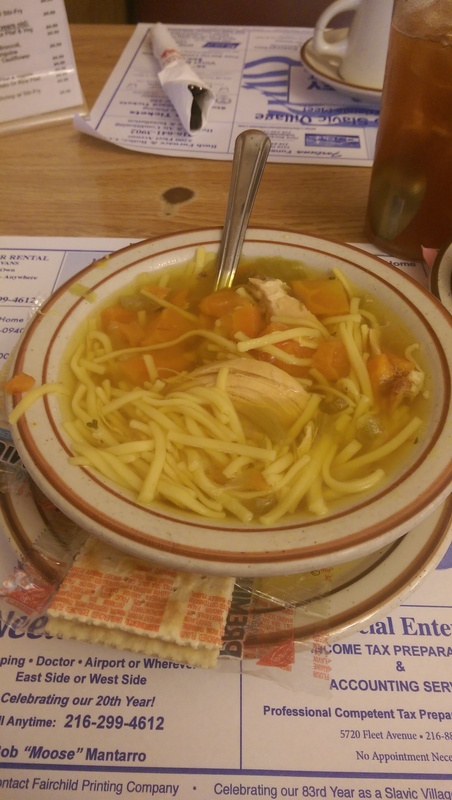 I started the year off with a new addiction – the chicken noodle soup at Red Chimney. Someone posted a photo of it, and I could not stop thinking about it. I now get it every time I go there. It is packed with noodles and chunks of chicken, and the broth is super flavorful. Paired with a soft dinner roll or their homemade rye bread you’ve got the perfect meal. Tip: if you go be sure to bring cash! They don’t accept credit cards. 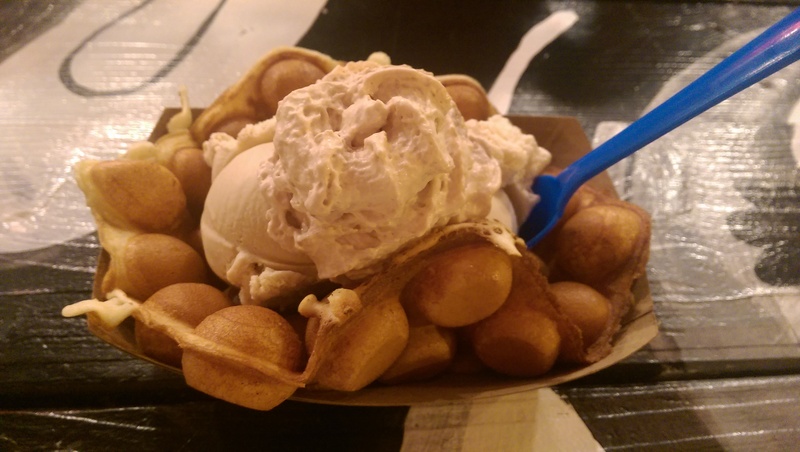 Mason’s Creamery has become a favorite stop this year. They have such playful flavors. I would be hard picked to choose a favorite between their Tang sorbet, Jelly bean sorbet, Oatmeal cream pie, Fried ice cream, and Thai tea ice cream. I usually just stuck with scoops in a cup, but then I finally tried the egg waffle. This egg waffle with Ceylon cinnamon and cafe con leche with Nutella whipped cream really blew me away. I mean, come on, Nutella whipped cream? Amazing! I had taken out-of-town friends here after dinner at Citizen Pie, and they raved about their choices as well. My friend Nancy invited me to Rosh Hashana this year, and her brisket blew me away. It was so simple, but had such great flavor. 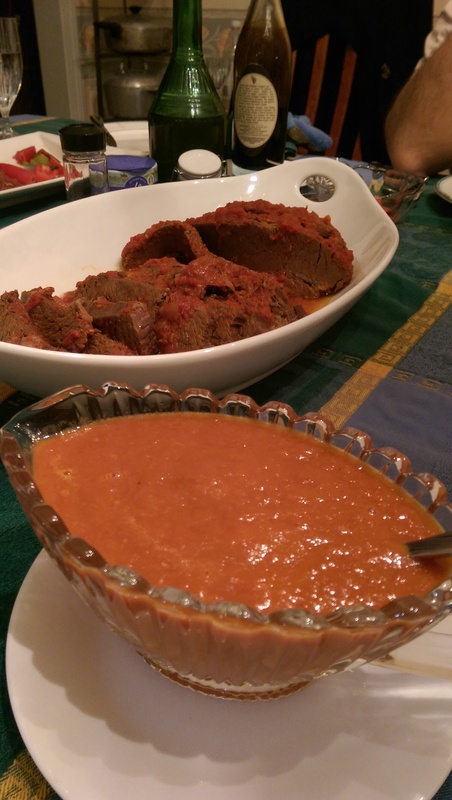 She roasted Wagyu brisket from Mister Brisket over San Marzano tomatoes and onions and then pureed them to make a gravy. The entire dinner was divine (I have also started eating apples with honey because of this meal), but this brisket melted in my mouth. Hatfield’s Goode Grub started out as a food truck and now has a brick and mortar restaurant in Kamm’s Corners. My friends and I met for breakfast back in September, because I saw a photo of a coffee with sprinkles. 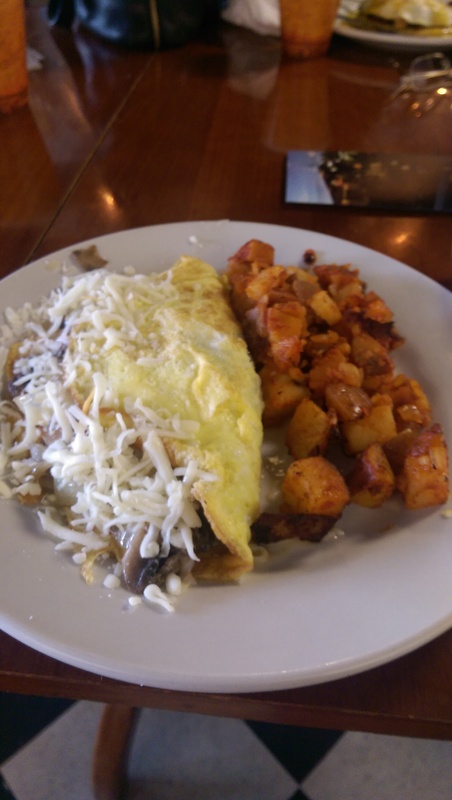 The coffee was overpowered by the berry syrup (and not in a good way), but this Shrooms and Swiss omelette was a great start to the weekend. It had so much flavor. They are turning out some amazing food at Hatfield’s Goode Grub. Be sure to check it out! 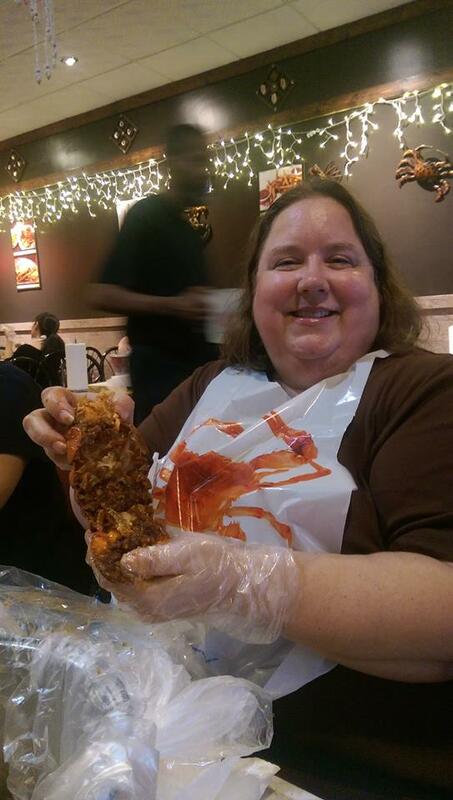 We celebrated my birthday at Boiling Seafood Crawfish. They serve boiled seafood with potato and corn and whatever seasoning you choose in a bag. It’s just messy fun. They give you bibs and plastic gloves, but don’t dress up. You will be covered with messy goodness by the time you are done no matter how careful you are. I built my own and ordered the crab legs and lobster tail. 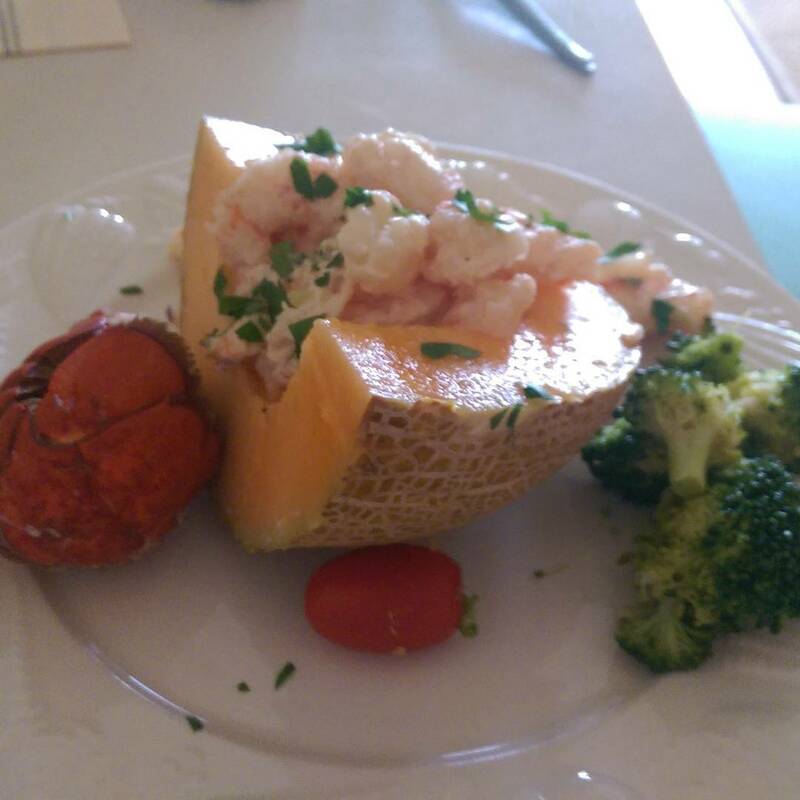 Look at the size of my lobster tail! I treated myself to a slice of Corbo’s Cassata Cake earlier in the day, so it was one of the best days of the year. My mother and I road tripped to Seabrook Island, South Carolina for the total solar eclipse. I got to experience the eclipse on a beach with a tequila sunrise and Pink Floyd’s Dark Side of the Moon. There were worse ways to spend the day. After a day in the heat we wanted something cool and light. I had brought a sugar kiss melon from Heinen’s down with me because it was about to turn. Mom bought a prepared shrimp salad at Harris Teeter to pair with it along with a steamed lobster tail and some garlic broccoli. It was simple but absolutely succulent. Tommy’s on Coventry got a little press this year when they shipped a milkshake to a dying woman in Maryland. I was so touched by the story I met friends several times for milkshakes. My usual favorite is banana, but I tried peach as well. 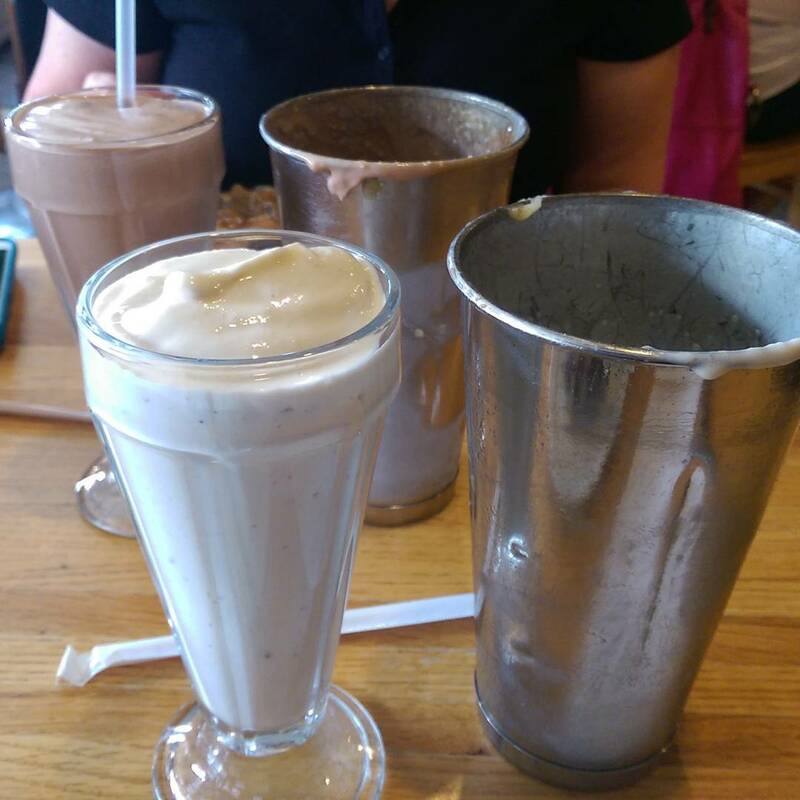 I’ve gotta say… I’ve never had a bad milkshake at Tommy’s. I like supporting good people who are compassionate. After seeing a video of an ooey gooey grilled cheese sandwich posted by someone I follow I had to have it. The grilled cheese was from the Rowley Inn. The Rowley Inn is a dive bar near The Christmas Story House. They recently invited some Cleveland bloggers to a media night, so you might have heard of it from one of them. 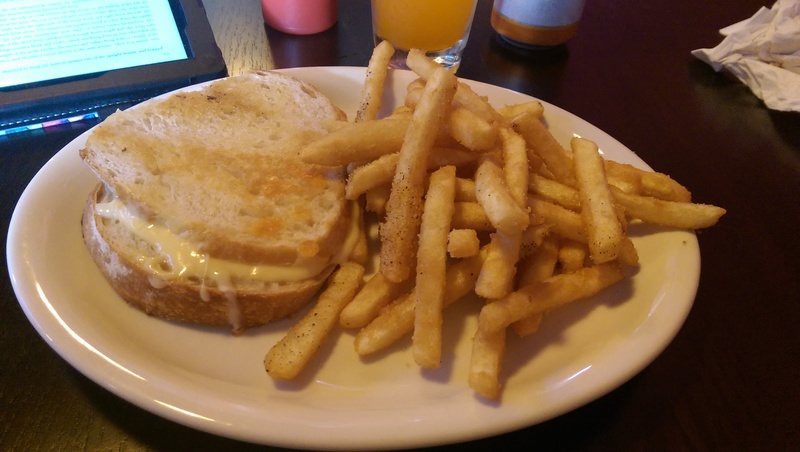 Anyway, the grilled cheese was really, really good, but I was absolutely blown away by the fries. Such a simple meal, and yet so good! They make their grilled cheese with smoked Gouda and a mozzarella and provolone blend with mayonnaise. I’d never had mayonnaise on a grilled cheese before, but I liked it a lot. It didn’t hurt that I paired the meal with a hard orange soda. It was like meal from childhood, but not. My friends and I enjoyed a perfect summer evening on the patio of EDWINS in July. After finishing a huge translation I decided to treat myself to Le Burger, which they prepare table-side, and then continued the table-side service with Cherries Jubilee. 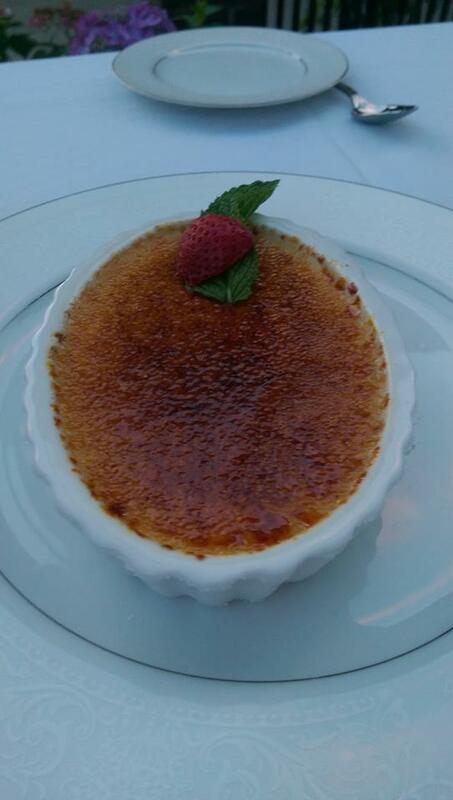 I loved everything I ate that night – including the broccoli, but the thing that absolutely wowed me was a bite of my friend’s creme brulee. It was the best creme brulee I’ve ever had. If you asked anyone who ate at Salt+ this year what their favorite thing they ate they are going to tell you it was these duck meatballs. We went for the squid ink paella, but the duck meatballs blew everyone away. I can’t even begin to describe them. 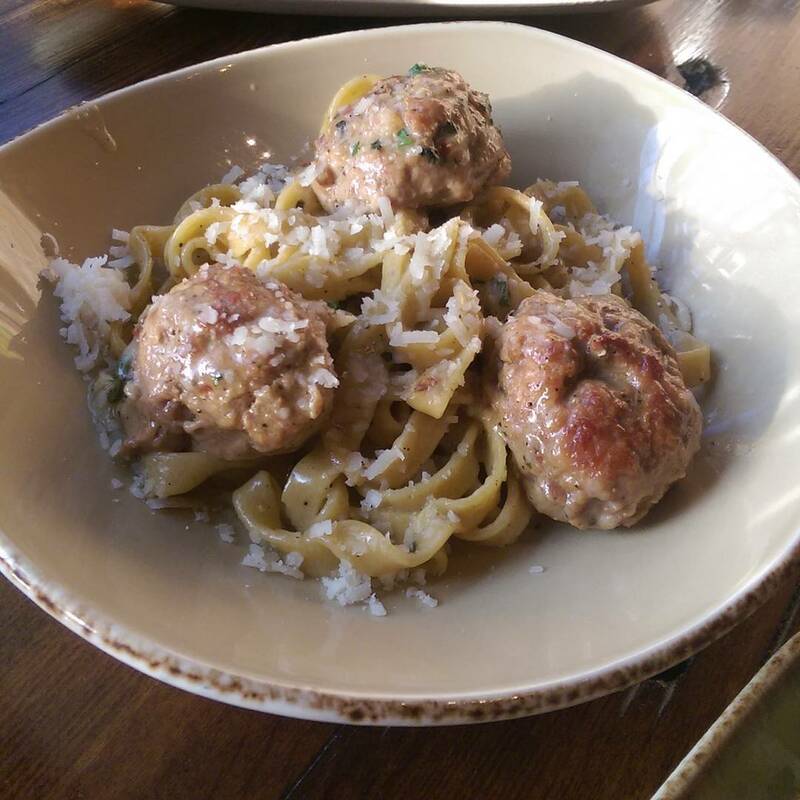 The meatballs were savory and peppery, yet light as a feather. The pasta was a perfect al dente. A very welcome plate! I hope they bring it back this year. 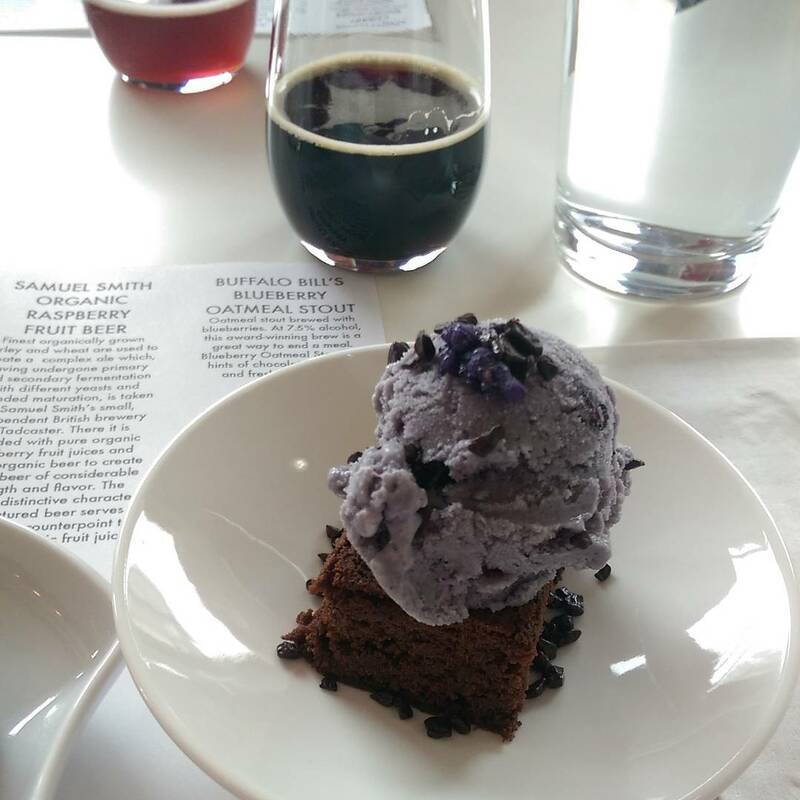 This Valrhona dark chocolate brownie topped with housemade blueberry gelato, candied violets and dark chocolate granite paired with Buffalo Bill’s Blueberry Oatmeal Stout was my favorite course at one of many chocolate tastings at Lilly Handmade Chocolates. Each tasting is unique – whether it is Berries and Chocolate, Mead and Mousse, or Deep Dark Reds, champagne, or just various beers. Amanda has a great palate and really knows how to pair things to bring out the best in each. My list cannot be complete without mentioning my favorite meal in Cleveland – Empress Taytu‘s Chicken Tibs with a side of Tikil Gomen. 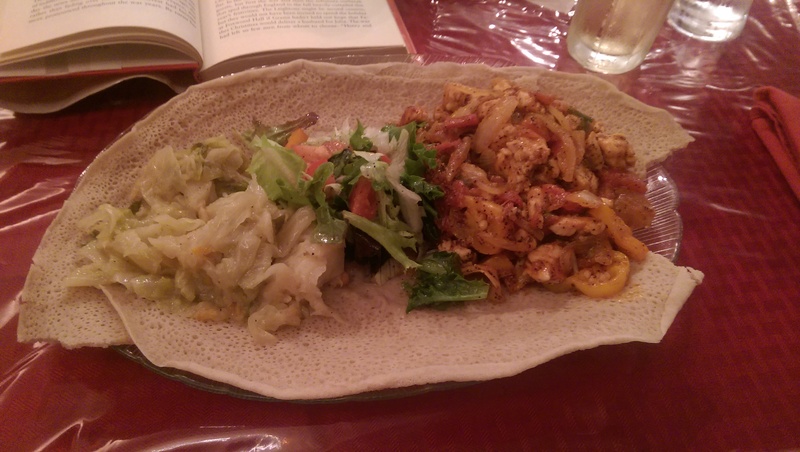 With several Ethiopian restaurants opening up here in Cleveland recently I still have to say I prefer Empress Taytu (note: I haven’t been to Lucy’s yet). Every once in a while I have a bad day and treat myself to a nice dinner there. It’s my comfort food, and you can’t beat the injera!